If you haven’t caught our review of Warhammer Question: Blackstone Fortress, you may wish to give it a read. The game offers a hefty and impressive number of gameplay mechanics and systems to keep the game fun and engaging. However, one of the issues of these more robust games is that sometimes you can all-too-easily forget some of the rules. In my first few games of Blackstone Fortress, this was certainly the case. Thankfully, I’m here to give you a head-start so that your first few games run as smoothly as your later sessions when you’re more accustomed to the game. 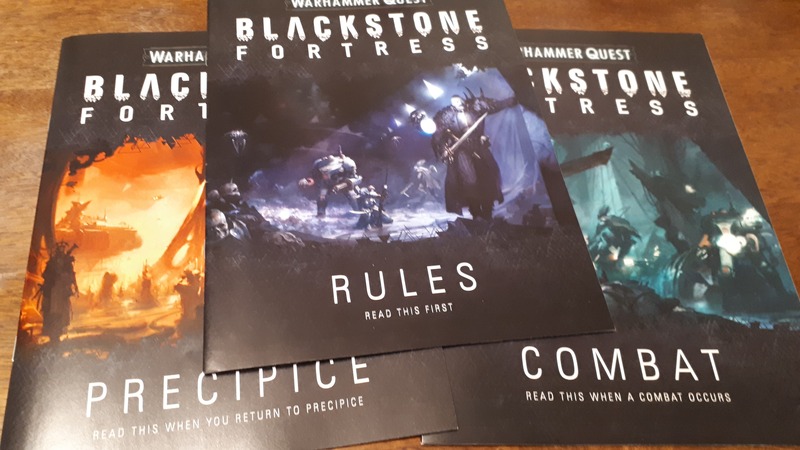 In order to get the most of your sessions you want to adhere to each of the rules of Blackstone Fortress. This will provide you with the best experience as intended by the designers. Below are some of the rules I found myself slipping-up on which either made the game noticeably easier or irksomely difficult. With three booklets of rules to flick through, let us help you remember some of the ones that may be more likely to slip the net. Some of the hexes within the game are sided with bold white lines. These lines represent cover and can make hostiles or explorers much more difficult to hit. Quite a few discovery markers will have hostile groups start in cover, so this is near-enough unavoidable. When attacking a model that is in cover, you’ll be hitting on critical successes and missing on anything else. This changes if a weapon ignores cover or if a model does not benefit from cover. Remember this in your combats! It proved all too easy for myself to forget that my explorer was in cover, thus surviving the flurry of shots recently volleyed. This could mean the difference before survival of your squishier explorers whom might not have the best defence! Alternatively, this could also see hostiles surviving the assault cannon shots you may have just laid into them. It should also encourage you to think tactically. If you’re in cover, for instance, you may wish to prioritise taking out enemies with flamers or grenades. These weapons blast through cover, negating your bonus! There’s another exception to being in cover. If an explorer and a hostile share the same hex-side of cover due to being adjacent, they are not in cover from each other. This is worded verbosely in the combat booklet, but does make some sense. Else, you’d be spending all day firing into your enemies at point-blank range and somehow missing. One of the rules of Blackstone Fortress I overlooked numerous times was regarding movement and adjacency. Should you have an explorer move into a hex that is adjacent to a hostile, this immediately ends their movement. This means you can’t just have your Janus Draik dancing around enemies to get into the best spot. This should have you think carefully in regards to positioning when considering charging your foes. The initiative track is something that has already caused my heart-rate to rise on multiple occasions. The act of laying down initiative cards to see which groups or characters go first can be surprisingly tense. Will the group of eight Traitor Guardsmen get to go first? 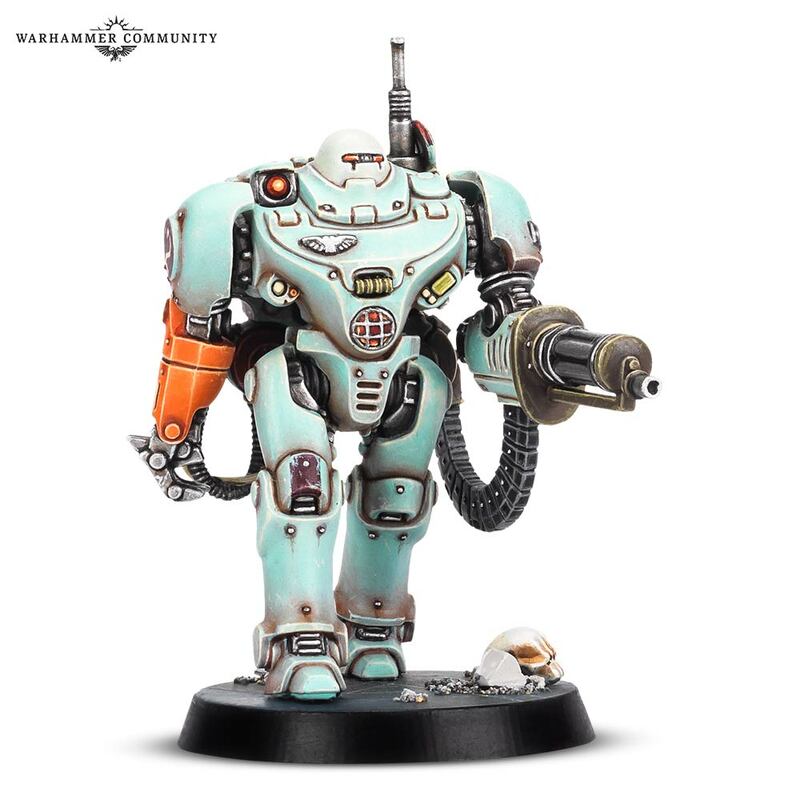 Or will Pious Vorne get her chance to burn the heretics before they so much as take a step? Fact is, you can sway the track in your favour! The first rule in this is “Covering Fire” which you can do after placing the cards down on the track. You can opt to swap the positions of two explorers in order to better adapt to your current situation. The initiative track determines if the ensuing round of combat is going to be a glorious charge to your enemies or a valiant defence against them. However, the big-ticket comes next in the form of “Gambits”. With this you can have an explorer spend an activation dice and perform an agility test. Should they fail, nothing happens and you’ve wasted an activation dice. If you succeed, you can swap this explorers card with the closest enemy card to the left or right of them. A critical success permits you to swap their card with any on the track. I find myself getting further invested thanks to these high-risk, high-reward elements. Characters like Shadowguide could achieve this with relative ease. Espern the Navigator, not so much. A further note to this, but an important one. The rules in the book state you can never use a destiny dice to perform a gambit. Something I’ve seen happen across a couple of gameplay videos already. Save those destiny dice for butchering enemies! The act of slaughtering foes within the Blackstone Fortress is something we can all take solace in. Although, not only do you clear way for the explorers to progress, but they could also inspire! In order to inspire you need to collect three inspiration points. This can be done via some special entries on the events table and some challenges. However, the most frequent method is through glorious battling against the enemies of the Emperor! Each time an explorer kills an enemy, put them beside the explorer’s card. Once this explorers activation dice are spent, count up the total wounds of all slain hostiles. You then roll the d20 Blackstone dice, aiming to get equal to or lower than the number of wounds. Should you fail, nothing happens. If you succeed, you gain a single inspiration point. One point can be spent to re-roll an activation dice, two can be spent to alter the result of a dice to your choosing. An additional note, though. You cannot roll for inspiration points against enemies killed outside of your activation. Should they be killed by traps, overwatch or anything else outside of an explorer’s activation step, you’ll not be seeing any inspiration points. Three can be spent to instantly inspire your character, flipping their card to the blue side. This typically sees the inspired explorer get various improvements to their stats and abilities. Should your character already be inspired, you can spend the three points instead to search for treasure, attaining you a discovery card. Most of the essential information you need for your explorer is written on their cards. To further add to the already scores of rules of Blackstone Fortress, each explorer has special rules. These can be various things such as additional inspiration criteria or special abilities. Dahyak, for instance, can double the number of wounds from slain models when rolling the Blackstone dice. This means he’s more likely to inspire faster than most other explorers. Some weapons even have special attacks depending on inspiration or activation dice results. For instance, UR-025 can fire an assault cannon on a 1+ activation dice. Should this dice be a 4+ it fires twice, or three times on a 6+! Upon inspiring, these numbers are lowered, meaning it’s even easier to take more than one shot. Oh, it’s also worth mentioning that shots can carry across any model in the target hex or adjacent hex. This means that UR-025 goes from potentially killing a single target to up to three hostiles across numerous hexes within a single activation. UR-025 won’t be winning any races, but it’s capable of mowing down any competition that gets in the way. Always read your card, read it multiple times if you have to. 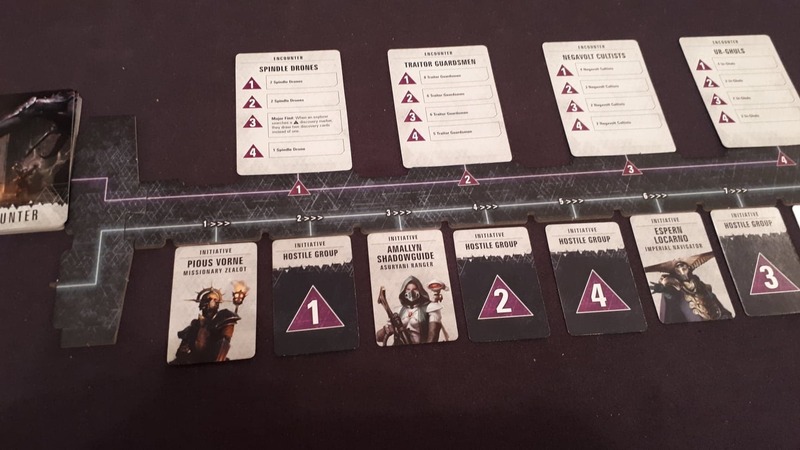 There’s many quirks to the rules of Blackstone Fortress, your cards are the best way to understanding and overcoming them. Be it through abilities to ignore cover or even to reclaim discarded destiny dice. Being the generous and merciful heretic that I am, I thought I’d help out a little further. There’s a few other things to remember when trawling the Blackstone Fortress. I’ve seen these misconstrued or misunderstood in some play-throughs and thought I’d clarify. When rolling to attack, you treat the highest success as the result. Two critical success results only counts as one. Rolling a success and a critical success only counts as the critical success. Don’t forget to roll on the event table at the end of a round of combat. This could be the difference between a free point of inspiration or a resurrected enemy! Spindle Drones have the “Threat Level” rule. Do not forget this, as it can turn them from an irritating nuisance into a horde of death-bots. Two explorers can share one hex, except Rein and Raus who can both share a hex with another explorer at once. Explorer’s ships by the Precipice board have some very useful support functions. Don’t forget to make use of them! Mastering the rules of Blackstone Fortress won’t happen in the first game. However, these handy reminders will hopefully edge you closer to the Hidden Vault and thus, to victory! Regularly check by our Facebook page for all the latest updates and news in tabletop gaming.